All native species of the Buckeye genus (Aesculus) should be considered poisonous. 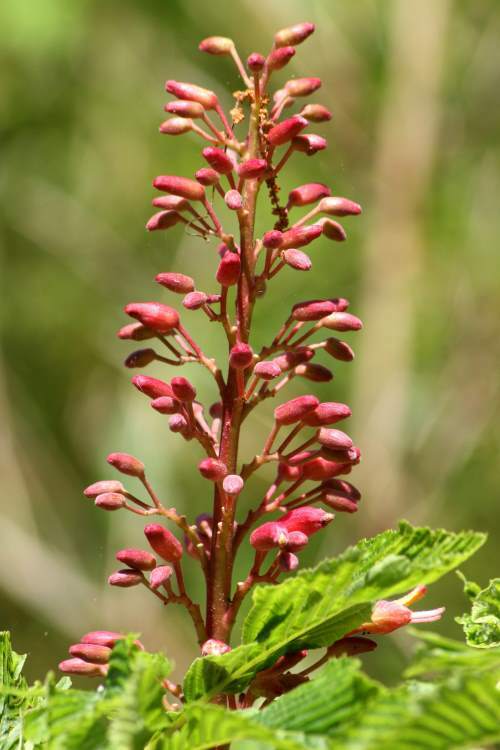 Hummingbirds and bees like the Red Buckeye flowers; the fruits are poisonous to humans. The oils can be extracted to make soaps, though this isn't commercially viable. 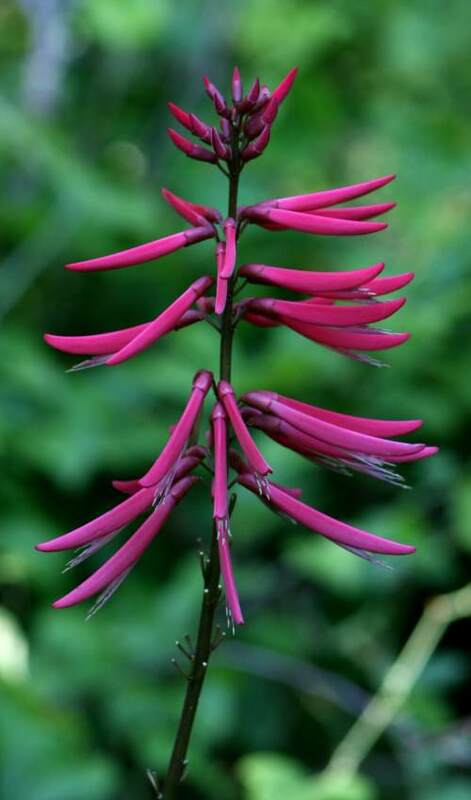 Use the whole plant in early Spring before the flower stalk comes up or the bulbs in later Spring and Autumn. Bundle bulbs and dry. Can be chopped into green salad, boiled and seasoned with butter, boiled for cream of onion soup. 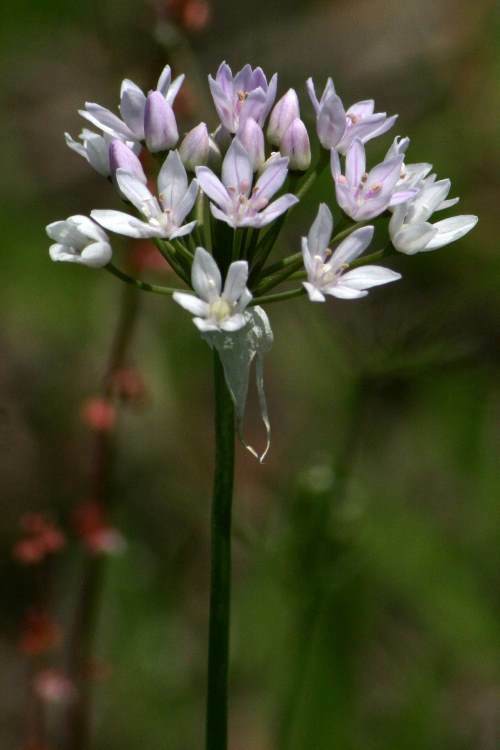 Avoid all onion like plants that lack onion odor! 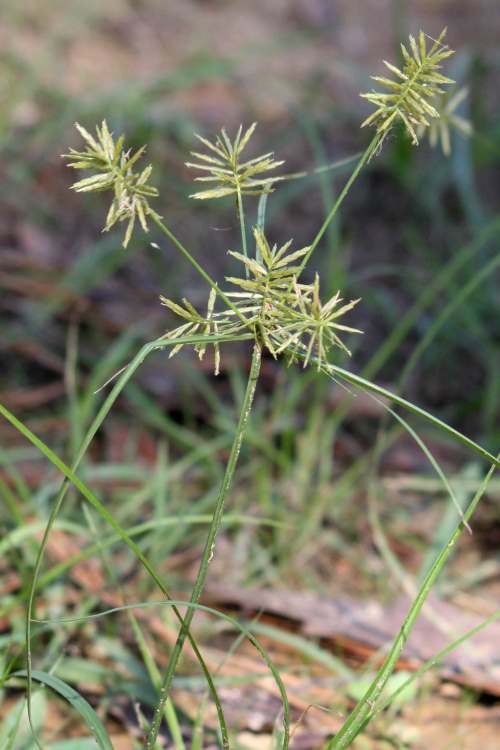 Some, such as Death Camass are very poisonous! Also known as Bramhi, reputed medicinal herb in Indian systems of medicine and reputedly useful as an aphrodisiac, and for treating indigestion, syphilis, anemia, inflammations and many other maladies. In India it has been used to traditionally consecrate newborn babies in the belief that it will open a gateway to intelligence. It is a traditional treatment for epilepsy, asthma, and has antioxidant properties that reportedly can help reduce fats in the bloodstream. High dosage can be toxic and even lethal. Extracts have been shown to have anti-anxiety effects. It is listed as a nootropic drug that enhances cognitive abilities especially in picking up new information and is sold as an herbal supplement for memory function. Get leaves very early in the Spring, or blanch later on.Pick buds and flowers until nearly all flowers have opened. Get seeds in the summertime. Use leaves in salads (some leaves may be bitter) or prepare by boiling as greens. Use seeds ground as seasoning; to make mustard, grind seeds in a food mill. Buds and flowers supposedly good with cheese sauce! The seeds are often used in Indian cuisine and in curry while Ethiopians use the shoots and leaves as a vegetable with the seeds as seasoning. 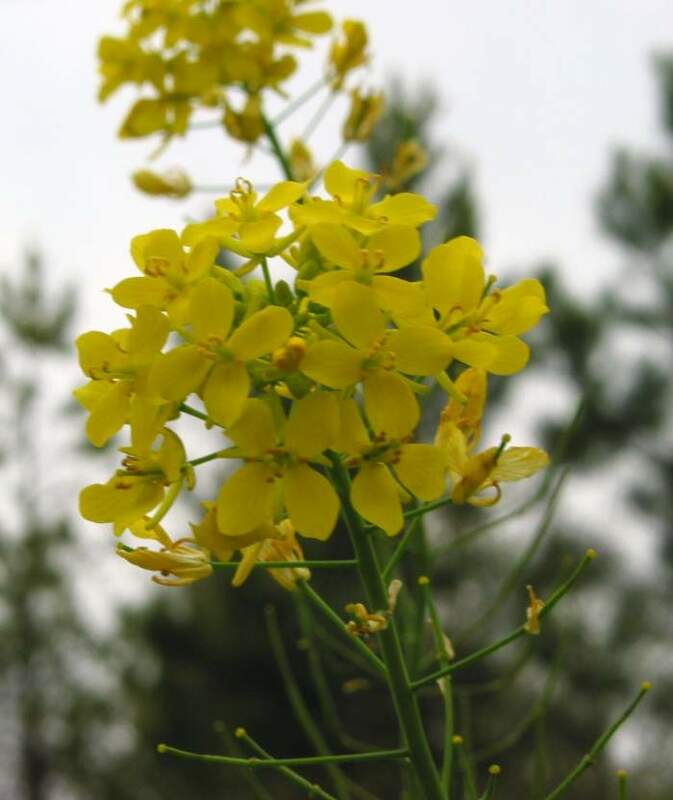 In Europe ground seeds may be added to honey as a cough suppressant while in long-ago Canada mixing the seeds with flour and water yielded a paste - mustard plaster. All parts of this plant are very poisonous! Resin-like toxin causes severe abdominal pain, excessive salivation, vomiting, and can cause death. 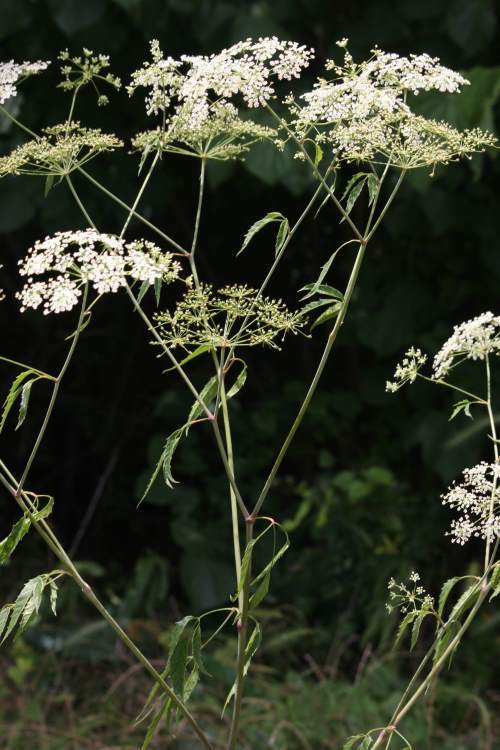 All native species of Cicuta are very poisonous; ironically, these are in the carrot (Apiaceae) family along with caraway, celery, chervil, coriander, dill and parsley. Since this is a beautiful flower, try not to use unless you find it plentiful in a given area. In Spring pick the young leaves and dig the tubers when you can identify them by the blossoms. Keep the largest tubers, re-plant the others. 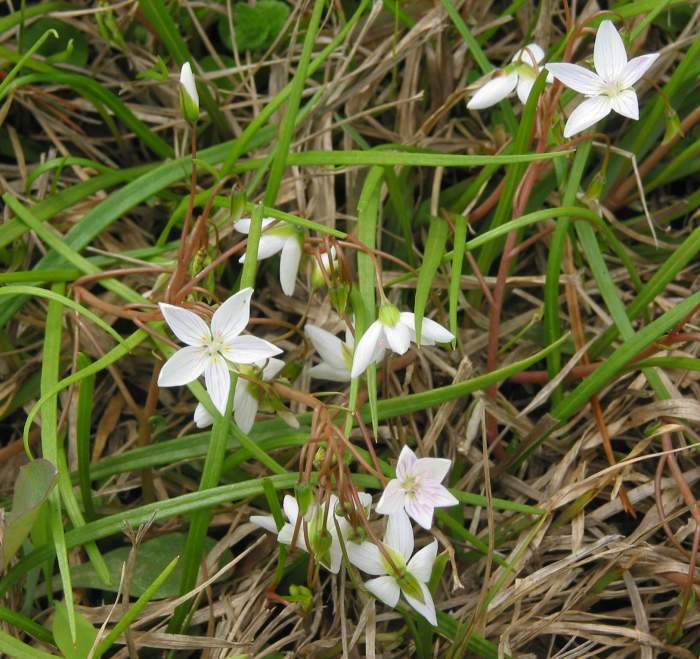 Can be used as "trail nibble" or chopped into a green salad. Leaves can be boiled for an edible but not exceptional vegetable; tubers can treated like potatoes - baked, boiled, fried. If you can get there before the birds and deer, you can make jelly with the berries! Fruits can also be dried and stored and may be substituted for rose hips in recipes. Gather tubers - best when in loose soil as they may be as much as a few inches down in the ground. Tubers (known as tigernuts) have a slightly sweet, nutty flavor and may be used raw, boiled, candied, dried, ground into flour, or as a beverage base (soaked, drained, mashed, mixed with sugar or honey). For a coffee substitute roast tubers until dark brown, grind and brew. This was apparently an important foodstuff in ancient Egypt used, among other things, for making cakes. Grown in America by the Piautes in the past and currently cultivated in some parts of Spain. All species of Erythrina are poisonous. Though the flower is attractive to hummingbirds, the plant and all parts, particularly the bean, are bad for humans and can cause paralysis - much like the deadly poison curare. 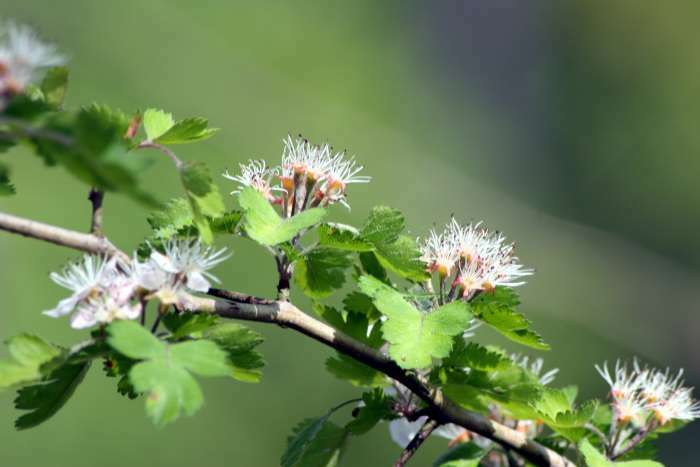 Native Americans did use the plant for medicinal purposes including preparation from the root for bowel pain and leaves for a general tonic and as an external rub for rheumatic problems. Pick young greens in Spring when tender and steam leafy stems or boil until tender; serve with butter and seasonings. Also can be used in salads. Gather fruits in Summer when they turn brown and roast until dark and crisp, grind or crush and use as non-caffein substitute for coffee - this plant is a coffee relative. 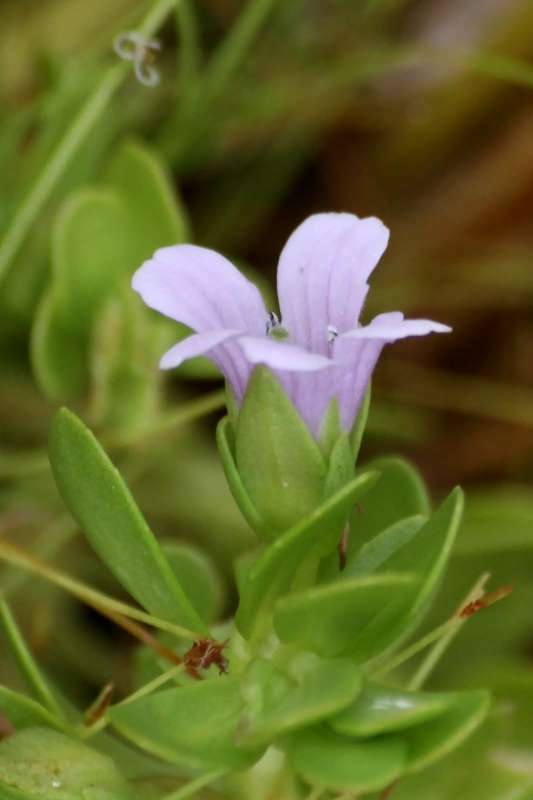 The plant was traditionally used to treat skin diseases and is made into a tea, sometimes used to lower blood pressure and body temperature as well as for urinary tract infections. The tea has also been used as an antiperspirant by the Chinese, relief for head colds, restlessness, and sunburns. 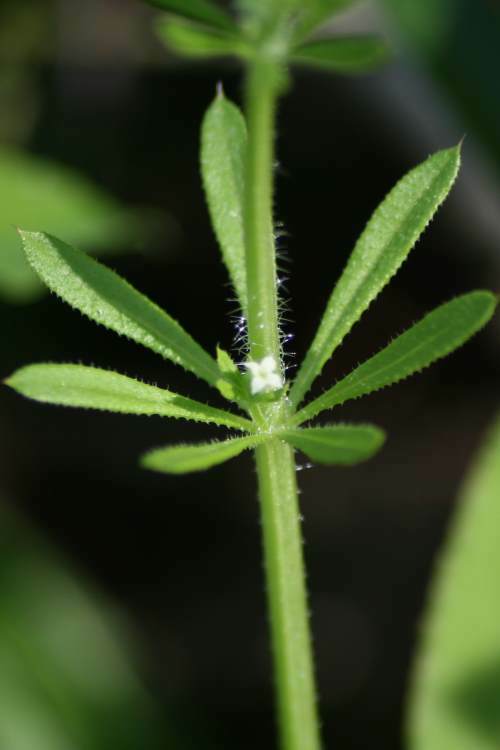 Pulp made from the plant has been used to relieve poisonous bites.